Yesterday, the Des Moines Water Works Board of Trustees voted unanimously to pursue a lawsuit against the Board of Supervisors in Sac, Buena Vista and Calhoun counties in their role as governing authority for 10 drainage districts that are discharging pollution into the Raccoon River, threatening Des Moines’ drinking water. This decision comes at the expiration of the issuance of a mandatory 60 day notice of intent to sue and unsuccessful efforts to address the issue under the current voluntary strategy. Des Moines Waterworks (DMWW) has legitimate concerns about the operations of the drainage districts in the three counties in northern Iowa named in the lawsuit. These drainage districts contribute to high nitrate concentrations in the Raccoon River which create a significant treatment challenge for DMWW to provide safe drinking water to their customers. We share DMWW’s concern about the lack of urgency and measurable progress to reduce the nitrate pollution these drainage districts are sending downstream. A Des Moines Register poll conducted last month found 63 percent of Iowans believe DMWW should pursue a lawsuit against drainage districts in northwest Iowa. It’s clear that Iowans want to see increased action on achieving measurably cleaner water in the state, and the lawsuit raises important questions about the effectiveness of Iowa’s Nutrient Reduction Strategy in achieving measurably cleaner water. For the past two years, the Council has called for improvements to strengthen the all-voluntary strategy to address Iowans’ concerns about the lack of local goals, timelines with benchmarks, consistent water quality testing and assessment to gauge progress, and sustainable funding for implementation. Perhaps DMWW would not have found it necessary to file suit against the three counties in northern Iowa had the state’s leaders taken meaningful action to address these concerns. While the lawsuit works its way through the courts, we will continue to call for these improvements, and work collaboratively with elected officials, agricultural groups, individual farmers and landowners, environmental groups and other diverse stakeholders to ensure Iowa’s water quality is improving. Application Process: Email resume and cover letter to: rosenberg@iaenvironment.org. No phone calls. • Develop and maintain positive relations with individual member on behalf of the Council in verbal, written and electronic communications. The Iowa Supreme Court today ruled today in favor of clean water by upholding Iowa’s Clean Water Anti-Degradation Standards. In a well-reasoned, and thoughtful decision, the Court upheld the rulemaking process that established the state’s clean water anti-degradation standards, keeping rules in place that are designed to protect some of Iowa’s most important lakes and waterways. The ruling ends the Farm Bureau’s lawsuit effort to delay or overturn the rules –which were enacted in an open and fair rulemaking process. As required by the federal Clean Water Act, Iowa’s common-sense anti-degradation standards will remain in place. Iowans are impatient on cleaning up impaired waters and preventing future pollution. Iowans can now focus on successfully implementing the rules and the ongoing work that will achieve clean water goals. Four years ago, Iowa adopted strong “anti-degradation” standards – an important but often ignored part of the Clean Water Act designed to keep unnecessary pollution out of clean waterways. However, the Farm Bureau challenged these important standards and even issued intrusive subpoenas to intimidate local environmentalists and challenge the Environmental Protection Commission by trying to disqualify one of its members, Susan Heathcote, water program director of the Iowa Environmental Council. Lower courts have since thrown out the Farm Bureau’s legal challenges. “This is a clear win for clean water and for open and fair government,” said Environmental Law & Policy Center Senior Attorney Brad Klein, who argued the case before the Supreme Court. “We’re grateful that the Court rejected the Farm Bureau’s attempts to harass and intimidate the Council and Susan Heathcote. This important ruling means that we can put the Farm Bureau’s attempts to delay and distract behind us and move on to protect some of Iowa’s most important lakes, rivers and streams. Rosenberg, the Council director, noted that like the Farm Bureau case, this decision was thoughtful, well-reasoned and supported Iowa values and priorities of the Council—in this case, increasing the use of energy efficiency and renewable energy, while decreasing reliance on carbon based fuels. A recent report by the Iowa Environmental Council, Real Potential, Ready Today: Solar Energy in Iowa highlighted the significant potential for solar energy in Iowa. Iowa is already starting to see the rapid growth of solar–highlighted by the bi-partisan support for tripling of funding available for state tax credits for solar energy installation. 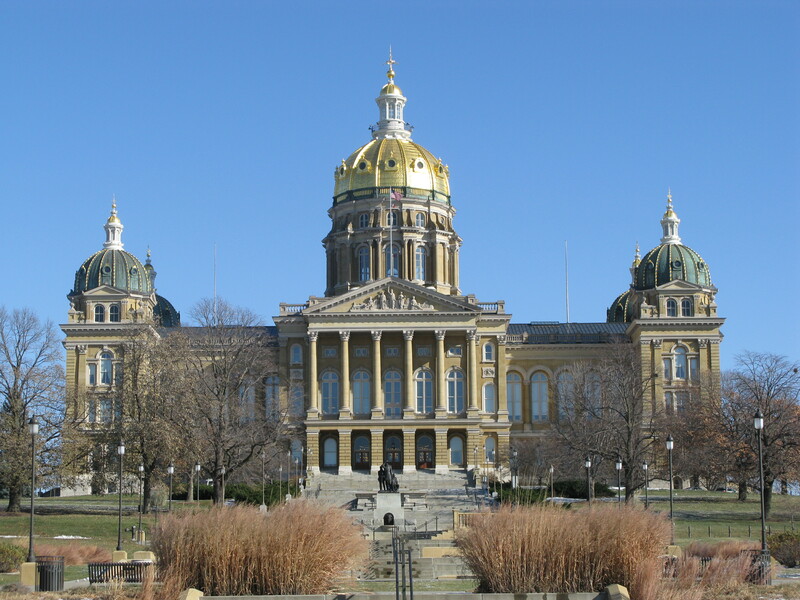 “The fact that the court agrees with our analysis of the law means good things for the future of solar in Iowa,” Josh Mandelbaum, staff attorney with ELPC’s Des Moines office added. The Iowa Supreme Court‘s full opinions are available on the Iowa Judicial Branch website. Iowans value clean water. From the small creeks, ponds and wetlands on the farm and the edge of town where our children play and explore nature to the larger rivers and lakes where our families head on the weekends to fish, swim and boat – clean water is important to our quality of life and a healthier Iowa. In response to our members’ concerns, improving the quality of Iowa’s rivers, streams, lakes and wetlands has been a top priority for the Iowa Environmental Council since the Council was founded nearly 20 years ago. One of our most important tools for cleaning up polluted waters and preventing new pollution is the federal Clean Water Act (CWA) that was passed by Congress in 1972. The purpose of the CWA is to restore and maintain the chemical, physical, and biological integrity of the Nation’s waters. Over the past 40 years, the CWA has resulted in dramatic improvements in the Nation’s water quality through the construction of modern wastewater treatment facilities to reduce sewage and industrial waste that had previously been discharged directly to waterways. Over the past 10 years, the Iowa Environmental Council and our partners, working with state agencies and the legislature, have further strengthened Iowa’s implementation and enforcement of the CWA. Two examples are rules adopted in 2006 that significantly increase protection of rivers and streams for recreation and aquatic life; and rules adopted in 2010 to protect high quality waters from new pollution. The result has been significant new investment in cleaner water that benefits our communities, businesses, public health and quality of life. While Iowa has made progress, we still have much work to do to meet the clean water expectations of the public. Last year, for example, nitrate pollution coming mostly from fertilizer applied to farm fields in the watersheds of the Cedar, Raccoon and Des Moines Rivers made its way from small headwater streams in Northern Iowa and Southern Minnesota downstream to the Cities of Des Moines and Cedar Rapids. The result was record high nitrate levels that threatened the safety of the drinking water supply in Iowa’s two largest cities. In addition, Iowans traveling to their local lakes for a weekend retreat too often find a sign warning them to stay out of the water due to the presence of cyano-toxins from algae blooms or dangerous bacteria that make the water unsafe for swimming. Last summer, the Iowa Department of Natural Resources posted 106 warnings for dangerous levels of bacteria and 24 warnings of cyano-toxins at public beaches in Iowa. Many of the pollutants that affect the quality of our drinking water and swimming beaches come from far upstream, in some cases even crossing state borders. Therefore a strong CWA that protects the quality of small headwater streams that feed downstream rivers and lakes is needed for us to continue to make progress toward our clean water goals. Prior to 2001, virtually all streams, rivers, lakes, and wetlands were considered “Waters of the U.S.” and were therefore covered under the Clean Water Act. However, in recent years, two U. S. Supreme Court rulings have resulted in confusion over whether some intermittent headwater streams and certain wetlands should be protected. To end this confusion, and restore CWA protections to these critical water bodies, the Environmental Protection Agency and Army Corps of Engineers have proposed new rules that clarify existing law and ensure the “Waters of the U.S.” designation extends to headwater streams that flow into larger rivers and to wetlands within the floodplain adjacent to these rivers. The proposed rules also clarify which waters are not considered “Waters of the U.S.”, including streams that do not contribute flow to downstream waters, agricultural drainage tiles, irrigation ditches, waste treatment lagoons, groundwater, and agricultural stormwater discharges. Prior to releasing the proposed rule, EPA and the Army Corps worked closely with the agricultural community and the U.S. Department of Agriculture to understand and address farmer concerns. The proposed rules leave in place the current exemptions from CWA permits for normal farming, ranching and forestry practices; including plowing, seeding, cultivation, minor drainage, harvesting, drainage ditch maintenance and upland soil and water conservation practices. Further, in response to agriculture’s concern about the regulatory burden when permits are needed for some conservation practices, EPA is specifying 56 agricultural conservation practices that will be specifically exempted from CWA permitting requirements. Iowans who drink from or swim in Iowa waters; parents whose children play in the local creek; sportsmen and anglers who hunt and fish; and nature lovers who paddle, hike and bike along or in Iowa waters need to publically support these new rules. Iowans who care about clean water can’t afford to sit on the sidelines and let some interest groups misstate the purpose and effect of this rule and determine which waters are protected and which waters can be destroyed or polluted. With strong public support and action, the proposed rule will strengthen the Clean Water Act’s legal and scientific foundation and protect the quality and integrity of the critically important streams and wetlands that feed into our rivers and lakes – thus helping to ensure a clean water future for Iowa.